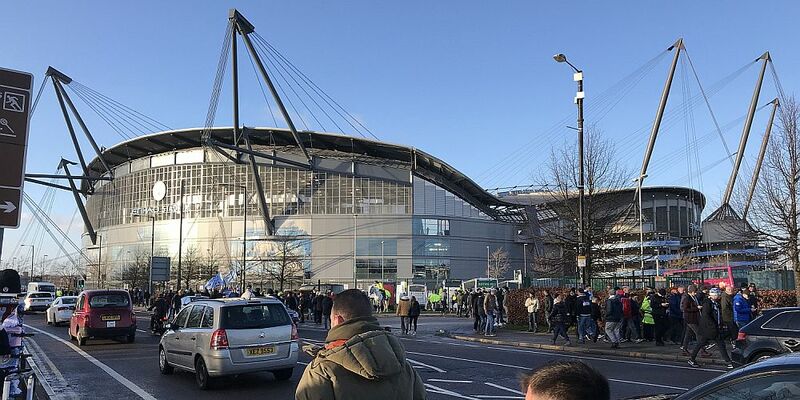 Burnley’s FA Cup hopes started and ended at the Etihad Stadium yesterday as we went down to a 4-1 defeat against the current Premier League leaders Manchester City, and this after leading 1-0 at half time. The record books will suggest a heavy defeat, and 4-1 can’t be described as anything else, but those records won’t tell the story that for almost an hour we were at least City’s equal and neither will they report that we succumbed finally to their brilliance rather than having something of a bad day. Admittedly there were mistakes for their goals; there are always are, but you had to just sit and admire some of the quality on show, particularly with their second and third goals which, in their own way, were breathtaking. I said when we lost there 3-0 in the league that our season would not be defined by our performances and results against Manchester City and the same applies to this cup tie. I’m very disappointed to see us go out, I always am in this competition, but, overall, we played well enough yesterday and I remain convinced that there is a lot to look forward to this season. There was perhaps a surprise when the teams were announced with neither manager making too many changes. Pep Guardiola made only three while Sean Dyche’s team showed just four changes. I was fairly accurate with my predicted team news in the match preview too. It was only wrong by two and one of those was a change made because of a player being unavailable. We stuck to the usual formation with Ashley Barnes occupying the wide left position previously held by Scott Arfield who had been ruled out with a hamstring injury. The home side might have started looking the more likely, but it didn’t provide them with any real chances and the first of the afternoon fell our way, to Barnes in fact, when Ben Mee headed a Jόhann Berg Guðmundsson corner back in from just beyond the far post. Mee was our last scorer at the Etihad; Barnes probably scored our most spectacular goal there, and it was the latter who added to that when he gave us the lead midway through the first half. It all came from a Nick Pope kick out that was flicked on By Sam Vokes. City defender John Stones mis-kicked and that allowed Barnes to run clear before hammering home from just inside the box past the helpless Claudio Bravo in the City goal. If we expected a City response, it didn’t come and I don’t think they put our back four under too much pressure and they certainly didn’t get close to our goal. We worked tirelessly and effectively in front of them. Ashley Westwood, in the midfield alongside Jack Cork, was outstanding as was Cork himself, and not forgetting Guðmundsson and Jeff Hendrick. We frustrated City; we frustrated their fans who have become so used to winning, and we got to half time in front with a belief that we might just win this one. Nothing changed much initially in the second half, but when Barnes gave away a free kick in his own half it prompted a City recovery that there was so little we could have done much about. We can argue all night long as to whether referee Graham Scott was right to allow them the quick free kick, but he did and it caught us out. One ball from the kick saw Sergio Agüero go clear and it was all square as he pushed the ball past Pope. The decision from the referee caused a spat on the touchline. TV pictures seem to show it’s between the City manager and Ian Woan and Guardiola did apologise after the game, but it couldn’t have lasted long before the home boss was celebrating again. It seemed as if it was nothing more than seconds between their equaliser and them going in front. It was Agüero again. He might have been fortunate to get the ball in the first place but then the football was a sight to see. He played a one-two with midfielder Ilkay Gündogan; the German back heeling the ball back into Agüero’s path. He brilliantly took the ball round Pope before sliding it into the empty net. I don’t think there were too many of us, at this point in the game, expecting a Burnley recovery. We didn’t get one and the third goal was just about as brilliant as the second. David Silva it was this time who slipped the pass in for Leroy Sané to score. The man of the match against us in the league game, Sané had been poor up to this point and had missed a sitter just before. Now he’d scored and he would get an assist on the fourth goal to add to that. It was later in the game that the fourth came. By now they’d brought on Kevin de Bruyne who is fast challenging the brilliant David Silva for the crown as City’s best player. He won the ball deep in his own half and with one outstanding pass he set Sané free. I’m not sure why Pope came charging out but he did and he made it easy for him. Sané squared the ball for Bernardo Silva to hit home to complete the scoring. Embed from Getty ImagesIt’s from the sublime to the ridiculous, or the other way round, losing last season in the competition to a non-league team who we allowed to wind us up, to this a year later. We’d played well for nearly an hour and then went out to a side who were just simply, in my view, brilliant and I’m not so sure what we could have done to stop them. They’re not just the best team in the country but the best team by a mile. It’s not just us who can’t compete with them. No other club in the country can, either on the pitch or financially. Had they been playing against anyone other than us in that last half hour I’d have sat back and enjoyed it, I really would. But it was us, I didn’t like it and I didn’t want to see us knocked out of the FA Cup. So be it, we’ve got the league to concentrate on now so let’s go and beat that 40 point best we have in the Premier League and let’s push as hard as we can to get as high as we can. Will City lose a game? I’m sure they will. They’ll have a day when things go wrong for them. Four weeks time would be a good day for it to happen. Manchester City: Claudio Bravo, Oleksandr Zinchenko (Kyle Walker 72), John Stones, Nicolas Otamendi, Danilo, Ilkay Gündogan (Kevin de Bruyne 76), Fernandinho, David Silva, Raheem Sterling, Sergio Agüero (Bernardo Silva 79), Leroy Sané. Subs not used: Ederson, Eliaquim Mangala, Brahim Diaz, Yaya Touré. Burnley: Nick Pope, Matt Lowton, Kevin Long, Ben Mee, Charlie Taylor, Jόhann Berg Guðmundsson (Jon Walters 75), Jack Cork (Nahki Wells 69), Ashley Westwood, Ashley Barnes, Jeff Hendrick, Sam Vokes. Subs not used: Anders Lindegaard, Phil Bardsley, Dean Marney, Steven Defour, Fredrik Ulvestad. Yellow Cards: Ashley Westwood, Jack Cork.